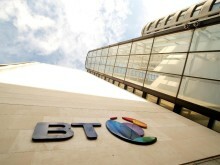 BT is marking the launch of its Complete Wi-Fi solution with its biggest ever multi-channel broadband campaign. With Complete Wi-Fi, BT is the only broadband provider to guarantee a wi-fi signal in every room of the home. The multi-million pound campaign breaks on Friday 25th January, kicking off with a TV campaign showing the frustrations of having limited wi-fi in the family home – brought to life with an array of characters from the movie, gaming and entertainment world. The ad opens with a weary Dad coming home, hoping for a relaxing evening on the sofa with a movie. He is instead greeted by a chaotic scene including soldiers, cowboys, fairies to even a giant ogre – all the characters from what his family are watching and playing online have come to life. However, the problem is they are all confined to the living room – the very place he was looking forward to putting his feet up. Dad quickly reaches the end of his tether, but he has a solution – BT’s Complete Wi-Fi.He quickly heads off to set up the new BT Smart Hub 2 and Wi-Fi Disc to guarantee wall-to-wall wi-fi coverage. Dad comes back to the living room to find the last of the characters making their way to other rooms in the house. We then see the family enjoying the internet from every corner of the home. Mum is streaming a fantasy movie on a tablet in the bath, accompanied by an ogre and fairies. The teenage son is in his bedroom playing a game on his laptop, surrounded by all the soldiers. Finally we see Dad, happy at last sitting the sofa surrounded by the cowboys who feature in his boxset that he’s streaming. Complete Wi-Fi answers what is a daily problem for families in the UK experiencing poor wi-fi signal with around 10 million homes requiring a solution to their wi-fi dead spots. With Complete Wi-Fi, a four-bedroom home could see an increase in wi-fi speeds of up to 25% around the home with just one disc. The campaign leads with a 40 second TV ad that breaks the evening of Friday 25th January during Jamie and Jimmy's Friday Night Feast, Grantchester and Cruising with Jane McDonald. Supported with a multi-million-pound investment in placement, the campaign also includes out of home (OOH), digital out of home (DOOH), press, radio, digital and social. It will also be supported by a partnership with Global Radio, sponsoring the Heart Breakfast show from Monday 4th February. 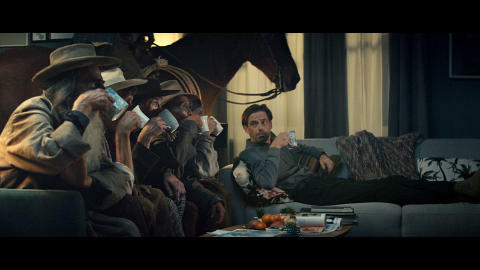 The campaign was developed by BT’s advertising agency AMV BBDO. BT’s media buying agency, Essence, has led the investment in placement.